I stayed at Disney’s Port Orleans French Quarter (POFQ) resort my first night. I LOVED it! It was a quaint, quiet little resort. My room overlooked the Sassagoula River, which was quite lovely! I asked for a corner room on the top floor and actually got it! I got to check out the new splash pool, which was absolutely darling! I loved the whole swim area. For breakfast, I had the POFQ "man-catching" beignets...I didn't catch a man, but they were worth it! Very tasty! I packed up and grabbed a taxi over to Disney's Grand Floridian Resort (GF), which would be "home" for the next couple of days. The taxi only cost $15 which I thought was a great value! I could have had bell services transfer my bag over, and I could have taken Disney transportation, but I would have had to get on a bus to a park, then found another bus from the park to the GF! I didn't have a lot of time to waste, so I thought the $15 was a great value! Once I got checked in at Grand Floridian, I hopped on the monorail for a day at Epcot! The Epcot Flower and Garden Show had just gotten under way, so I wanted to check it out! After a quick ride on Test Track (one of my favorites), I just walked around taking pictures of the topiaries and gardens. They were very pretty, but I think they were still pretty new. I was also delighted to find that for the show, they had a little stand that served Disney Dole Whips!! Score!! I had to get back to my room to change and freshen up before the start of our conference at 3pm. I just hopped back on the monorail and headed back to the GF! Now you do have to switch monorails at the Ticket and Transportation Center (TTC) as the monorail does not take you directly to the resort. There are 2 monorails: the resort and the Epcot/park. Even with the switch, I love riding the monorail as opposed to the buses! For dinner, we ate at the fairly new Signature restaurant, The Boathouse. I will say that if you are looking for a nice, quiet meal, this is NOT the place to eat! It was VERY loud! While the food was tasty, I'm not sure I'd really waste 2 Table Service credits on it again. (See picture further down in the feed of the S'More Baked Alaska---$40!!) After walking through Disney Springs a bit, we headed back to the Grand Florian on a bus (the only transportation from Disney Springs). I didn't really want to deal with the crowds at Magic Kingdom to watch Wishes, so I did what I always recommend to my clients that don't have tickets for a night---sit on the patio at Grand Floridian and watch Wishes from there! It was actually quite lovely and peaceful! They pipe in the music so you can at least "feel" like you're there. It is a bit different watching it from here and the first thing you notice is that the fireworks are not directly behind Cinderella's Castle, but actually quite far behind it! Very nice view though. 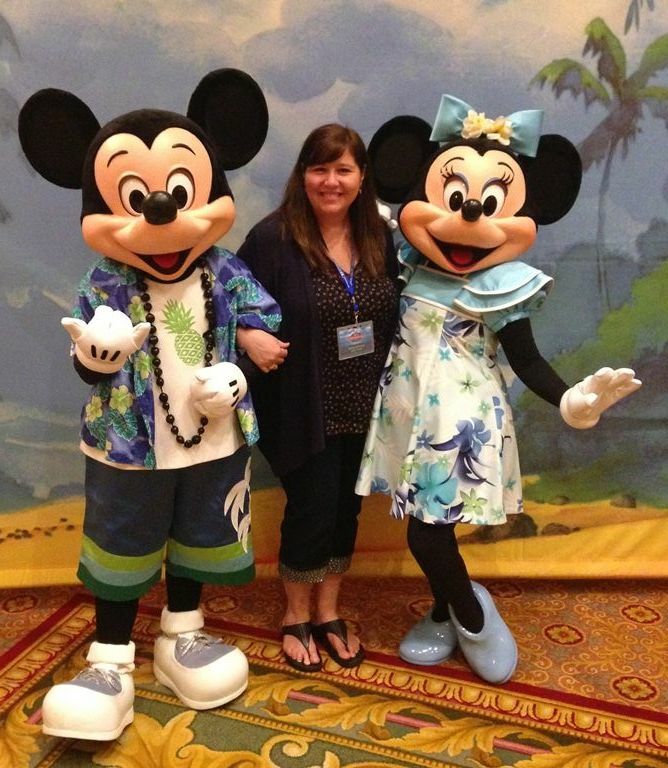 Let Monica help you plan a great vacation! Our “Quote Request” form is the easiest way to start planning your trip. Just fill in as much or as little information as you know at this time and select Monica's name from the agent drop bar. Monica will be in touch soon. There’s never any pressure or obligation. Just have a question? Click here to email us. On a mobile phone? Click here to call.